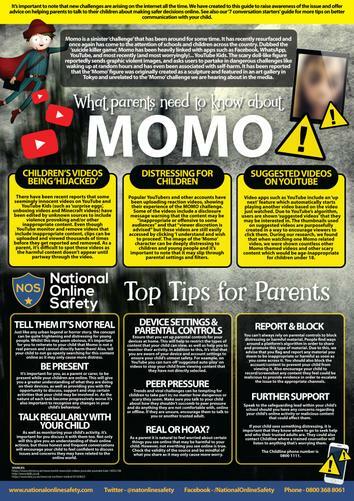 You may have seen in the press today articles regarding something called the “Momo Challenge.” This is an app that makes a scary character pop up whilst people are accessing other apps such as You Tube, Whatsapp and Facebook. The character persuades children to have dangerous thoughts and sets dangerous tasks for them to complete such as turning on the oven or harming themselves. Whist school are not seeking to cause concern, and there is no evidence that any child from St. Luke’s has accessed the site, we must make you aware of these safety concerns. When we hear of things like this it is vital that we remind parents and carers to constantly monitor what software/sites/apps their children are accessing. All computers/laptops/ipads/tablets should have the necessary age appropriate restrictions on to limit what your child can access. Please note that these restrictions are not always 100% reliable so you must regularly monitor what your child is doing. 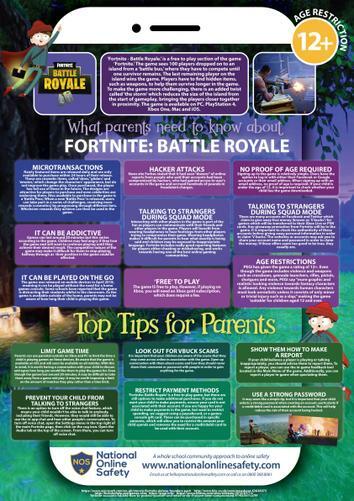 Fortnite is another game that can result in children being exposed to content that is not appropriate, it is classed as containing “mild violence”.